Look no further! 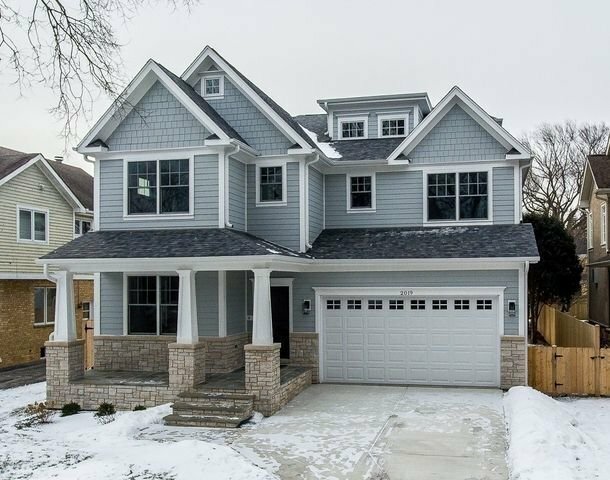 Spectacular new construction with designer finishes boasts six bedrooms and six full baths plus an attached two-car garage.Warm hardwood floors and lovely millwork are showcased throughout the first floor. Beautiful white kitchen with stainless steel appliances opens to the breakfast area and large family room with gas fireplace overlooking the patio and backyard. A gracious dining room - perfect for formal entertaining; convenient mudroom, office/bedroom and full bath complete this level.The second floor includes: the master suite, complete with soaking tub, double vanity, separate shower and walk in closet; one bedroom with hall bath and two large bedrooms sharing a Jack and Jill bath.An amazing third floor offers a family retreat/playroom with full bath and closet - perfect for a teen hangout or an au pair arrangement. The fantastic lower level has 2 bedrooms, full bath, rec area, workout room and wet bar with dishwasher and beverage fridge.A great value not to be missed!